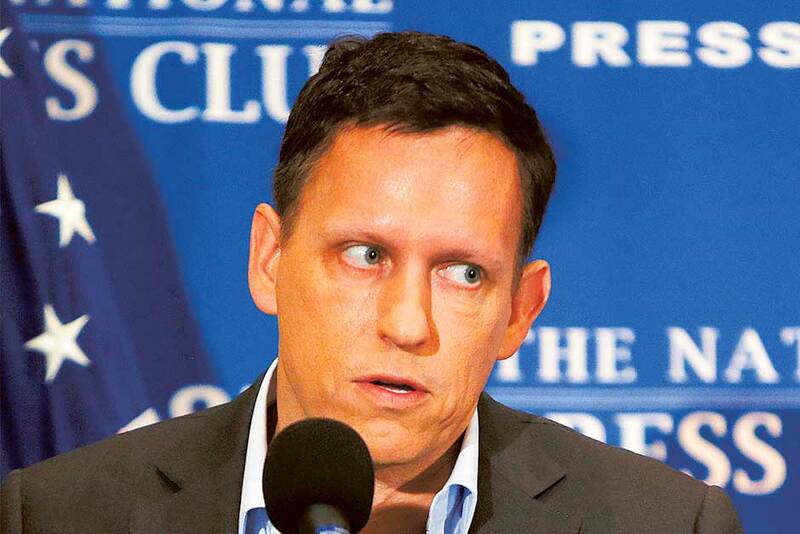 PayPal founder Peter Thiel predicted in 2014 that Silicon Valley would become the centre of the global economy. He claimed that by operating under a set of rules that involve little competition or regulation, his own company, along with the likes of Facebook, Amazon and Google would take control of the tech industry and enabling them to enjoy abnormally high profits. Thiel thought the key to success involved companies minimising how much tax they spend (a key to Amazon’s success); allowing the sharing of content without concerning yourself with copyright (as YouTube did); outpacing or buying the competition (Facebook’s two billion members removes the need for many more social networks); growing so fast that regulation has, so far, been unable to keep up. His prediction proved prophetic. At the start of this decade the biggest companies in the world were oil companies, such as ExxonMobil and PetroChina. Currently the biggest companies by market capitalisation are Apple, Alphabet and Microsoft. However, there are signs tech giants are becoming victims of their own success. In a competitive market, the super-normal profits they enjoy would attract the attention of rival companies. In the absence of strong competitors, these profits are instead attracting the attention of regulators and governments. Fears the authorities are catching up with FAANGs lay partly behind the puncturing of their share price bubble in the latter half of 2018. We think there could be worse to come and that as Thiel’s four laws continue to be rescinded, 2019 will be another uncomfortable year for investors in these companies. So what are regulators likely to do? Their actions will be shaped by public opinion. Consumers are not yet sufficiently outraged to stop buying Amazon’s cheap and convenient products, but disquiet is growing over the way these companies avoid tax. There are also growing concerns over the part tech companies play in facilitating political interference, including the mishandling of user information by Facebook, and the leaking of private data from Yahoo. In increasingly febrile times, public outrage has a greater capacity to drive regulatory action. The shape of antitrust regulation could take the form of anti-tax avoidance measures, privacy and anti-surveillance laws, or possibly self regulation by the industry. As recently as November, President Trump said his administration is looking at antitrust issues with regard to Google, Facebook and Amazon. Some company bosses are trying to get out ahead of any regulation. Apple boss Tim Cook has made a point of saying that regulation is inevitable. We should expect this rhetoric to continue and a line to be drawn between companies almost encouraging regulation and seeking to influence what it may look like. US politicians have been discussing how to regulate tech companies for two years. That will likely translate into legislation targeting privacy, political advertising and competition concerns over the coming year. In Europe, the latest GDPR rules are having a major effect on how companies handle and protect personal information, with other countries watching with interest. The UK is trying to increase the tax burden for tech companies with a digital tax. If this proves effective, cash-strapped governments are likely to introduce similar taxes as early as next year. The days of tax-free profits for tech companies might be coming to an end, but a collapse in profits is not imminent. The risk is not that today’s tech companies will turn into dotcom fads. They will continue to generate strong real cash flows. However, the FAANGs have been priced for perfection at a time when their outlook is as challenging as it has ever been. Their track record has resulted in overly exuberant investor sentiment, crowded positioning and extended valuations. That should put pay to any recovery in the shares during 2019. Thiel himself appears to have grown weary of Silicon Valley, having moved to Los Angeles. If Thiel’s predictive powers are anything to go by, we should start looking beyond California for the next wave of technology leaders. Karolina Noculak is Investment Strategist at Aberdeen Standard Investments.